Boiseans tend to flock to new downtown restaurants like moths to a flame. For that reason, for the first few months of a restaurant opening you can’t tell if it’s really good or not. After the honeymoon phase and the trendy folks have moved on to the next big thing that is when the true colors show and the good restaurants are still packed. 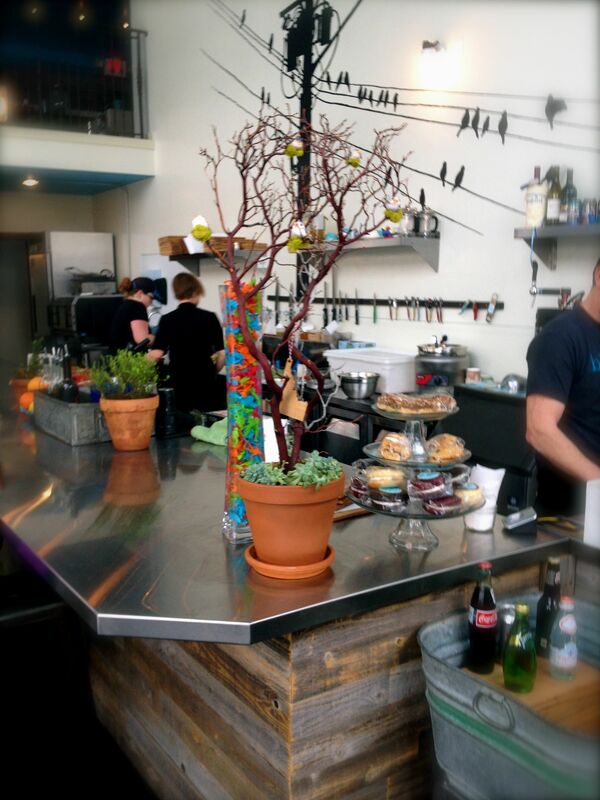 The Bleubird Cafe has proven true-blue for more than a year after serving it’s first handmade soda. This cute little cafe has brought new life to the corner of Bannock and 10th streets. The former shoe store location has been transformed into a cheery, open space. 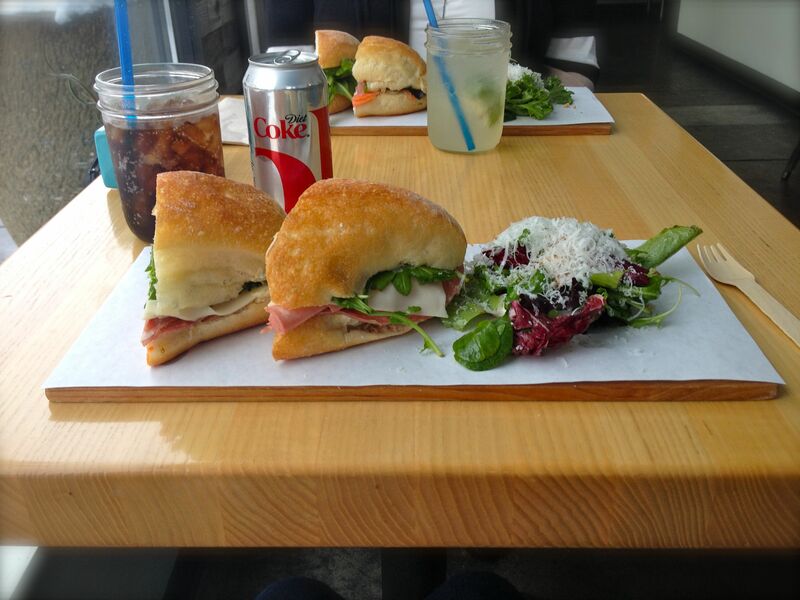 It is a great spot to meet a friend for lunch during the work week! But you better get there early or you are sure to be standing in line. The place is always packed by noon so if you are stuck in line and can’t find a table, don’t worry because there is extra seating upstairs. It’s not just the atmosphere that makes this lunch spot great, it is of course the FOOD! Everything about the food here screams “fresh”. From herbs in the sodas to the veggies in the soup, all of it has an air of freshness. The menu is always changing but there seems to be a few standard offerings. My favorite go-to sandwich is the Italian. It is loaded with fancy cured meats that I don’t know how to pronounce and it is topped with dijon aioli and mama lil’s peppers. So good! My only complaint is I wish they were open on the weekends.